IBSF is glad to inform that Qatar Billiards and Snooker Federation will now be hosting the 2017 IBSF World Snooker championship (Men, Women and Masters) from 17th November till 27th November 2017 at Al-Arabi Sports Club, Doha, Qatar. First of all, IBSF would like to thank Qatar Billiards and Snooker Federation for their agreement to host these championships in Doha at very short notice. IBSF had specified a deadline till 18th August 2017 for the bidding of IBSF (Men, Women and Masters) Snooker Championship 2017. Qatar was the only country that responded before the 18th August and agreed to host these championships. Entry for the Championships have already been started and Member Countries can now enter their players’ names and details on IBSF Online Entry System using their login credentials. Closing date for entries is 28th October 2017. Each country is allowed to send maximum 3 players in Men, 3 Players in Masters and 4 Players in Women competition. Each region is also allowed to enter winner of their regional championship. Please note that the countries who have not paid the IBSF Annual Membership Fee will not be allowed to enter their players. It is hereby requested to pay the IBSF Annual Membership to avoid such disqualifications. Entry fee for the competition is USD 70.00 per player and must pay to the IBSF Treasurer before the start of championships. Requests for referees will be sent under separate letter. Nominations of referees must be sent to their regional referee associations before the 30th September 2017. International referees will receive a subsidy of US$ 400 from the IBSF towards their Air ticket support. The referees meeting will be held on the 17th November 2017 at the Holiday Villa Hotel & Residence City Centre, Doha, at 1900 hours (7:00 pm) then the players meeting at 1930 hours (7:30 pm) followed by the Opening Ceremony at 2000 hours (8:00 PM). Play will start at 10:00 am on the 18th November. Details on the 2017 IBSF AGM will be provided in due course in a separate letter. 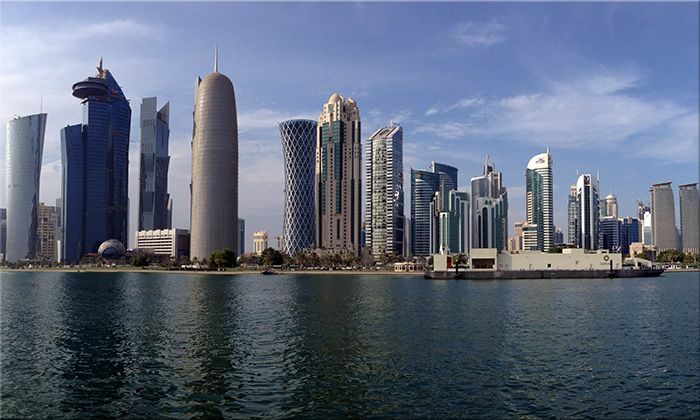 Doha is the capital city and most populous city of the State of Qatar. The city is located on the coast of the Persian Gulf in the east of the country. It is Qatar's fastest growing city, with over 50% of the nation's population living in Doha or its surrounding suburbs, and it is also the economic centre of the country. It comprises one of the municipalities of Qatar. Doha was founded in the 1820s as an offshoot of Al Bidda. It was officially declared as the country's capital in 1971, when Qatar gained independence. As the commercial capital of Qatar and one of the emergent financial centres in the Middle East, Doha is considered a world city by the Globalization and World Cities Research Network. Doha accommodates Education City, an area devoted to research and education. Doha has a population of 1,351,000 in a city proper with the population close to 1.5 million. The climate during the competition time is expected to be 29.5 °C (Average High) to 19.5 °C (Average Low). Transfers Airport/Hotel/Airport will be available FREE OF CHARGE - all participants will be greeted by the QBSF representatives upon arrival subject to arrival information being forwarded in advance. Local currency is Qatar Riyal. The currency rate USD 1.00 = QR 3.65 Qatar Riyal.